After an extensive search this winter, we are excited to announce our new food and beverage provider for the Clubhouse, Stone Fox Grill. Their countless years of culinary experience in the local community will serve them well at our facility. 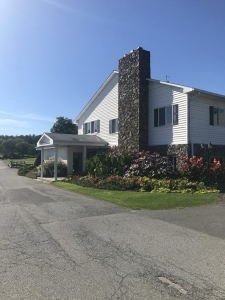 Brian and Laura, also owners of Maxons American Grill in Rotterdam, are looking forward to taking care of all the golfers needs while running the clubhouse as a full time restaurant open to the public. Stop out and welcome Stone Fox Grill.